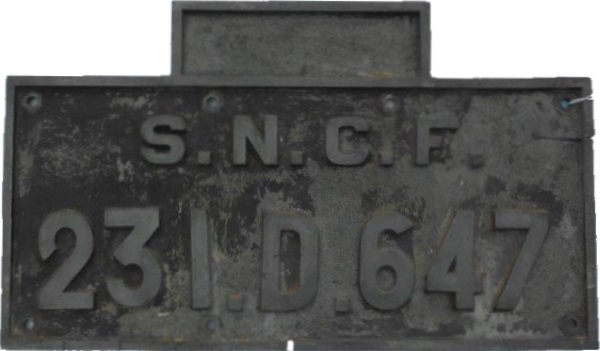 Lot 167 Alloy SNCF Locomotive Numberplate "231.D.647". Size 19" X 11". As removed condition.